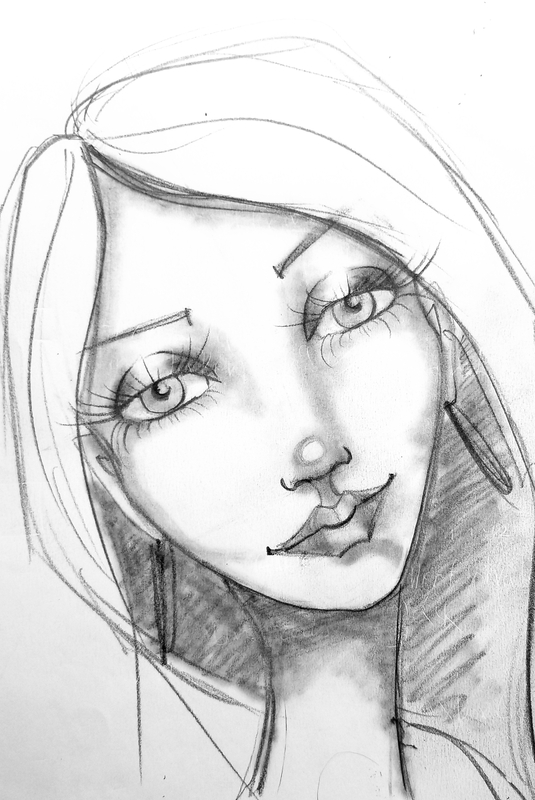 A Collection of Full Length Art Lessons all on How to Draw and Paint Faces! Starting in the winter of 2018 through the spring 2019 I ran (am still running!) a 20 week long face drawing challenge! Using the hashtag #100funfabfaces those joining in will be posting their work on social media and sharing with the world their drawing drama and skills, WOOT! Each Friday at 10 EST I publish a full length art lesson on my YouTube Channel. But if you like me, YouTube can be a crazy-hard place to find my favorite videos! Now you don't have to hunt to find these drawing tutorials again because I'm giving them all right here for you to access! For free, anytime! Transform yourself from an amateur to a true artist by honing your drawing skills each week with me! If you follow along with me each week and then do 5 variations, after the 20 lessons you'll have ideally drawn 100 completely different faces!!! New prompts every Friday until the classroom is filled with 20 lessons! Follow the tutorial for face #1, then change up a facial feature, change your medium, or practice over and over again until you hit 100. Ready? Let's gooooo!! !